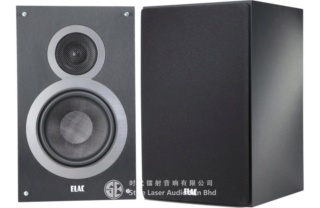 Elac Debut B6 Bookshelf Speaker Brand New. Now Selling At RM1,699. Free Shipping Within West Malaysia. Acclaimed audio designer Andrew Jones doesn't just raise the bar on price-to-performance bookshelf loudspeaker value with the ELAC Debut B6. He makes it almost unreachable. Jones, who established an enviable pedigree at TAD/Pioneer, brings to the ELAC Debut line the same brand of technical smarts and stellar sonics at a price that practically anyone can afford. The high-quality parts, engineering expertise, and customized arrays in the two-way Debut B6 cannot be found anywhere else for this cost. It's that simple. Once you hear Debut B6 used either as a main in a small system or a surround in a multichannel setup, you'll know exactly why this speaker is so special. It hits with serious punch, genuine bass, and standout dynamics. Jones custom-designed the tweeter and bass drivers in Debut B6, which also boasts a 6.5-inch woven aramid-fiber woofer with oversized magnets and vented pole pieces. 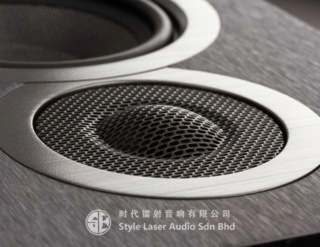 A cloth-dome tweeter, deep-spheroid waveguide, customized seven-element crossover, and handsome looks seal the deal. 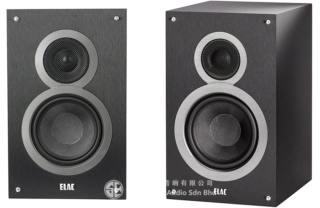 There’s a satisfyingly poetic lineage connecting Elac, a company founded in 1920s Germany, with the almost Bauhaus-like design of its Debut B6 standmount speakers. It doesn’t conform to the more characteristic, sleeker style of modern speakers, but has a bold presence that is rather charming. The B6s are the largest standmount speakers in Elac’s Debut family, furnished with a two-way driver configuration that feeds a 25mm cloth dome tweeter and 16.5cm woofer, with a rear-firing reflex port for extra low-end. The company claims the midrange drivers’ woven aramid fibre cones offer superior stiffness and damping to polypropylene or paper, allowing celebrated speaker designer Andrew Jones more flexibility in achieving a smoother, extended frequency range. We blu-tack the Debut B6s to our speaker stands ­– Elac describes these as bookshelf speakers, but having spent £300 on them we’d suggest investing in a pair of stands to achieve optimum possible sound quality – and let them run in overnight before testing them with Jack White’s Acoustic Recordings 1998-2016 collection. If you look at these rather sizeable standmounters and anticipate space and authority, you’re unlikely to be disappointed. There’s nothing meek about this performance, with a decent amount of enthusiasm in earlier White Stripes songs such as Apple Blossom and Hotel Yorba, and a generous soundstage that allows instruments plenty of air to breathe. The balance is generally good, though lower quality recordings show up a little coarseness to the treble at times. However, the harder edges soften a little the more you let the tweeter bed in and reach its stride. White’s voice can sound quite thin, especially with older songs, but ELAC offers sufficient bass to support it while managing to stay true to the original recording. There’s plenty of detail, too; sometimes a sparser recording highlights that better, and the acoustic guitars and pianos are admirably convincing for a pair of speakers at this price. 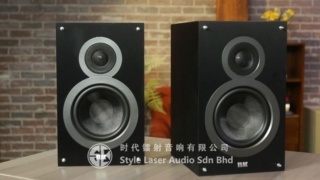 But the Debut B6s are found wanting in terms of dynamics when compared to the Award-winning Monitor Audio Bronze 2s. 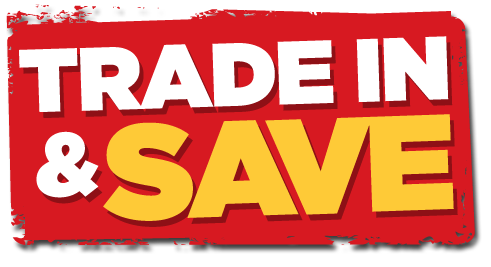 We couldn’t describe the former as being entirely flat, but there’s a noticeable difference in the expression when we switch between the two pairs of speakers, not to mention a spare £20 in your pocket from the cheaper Bronzes. The moods hinted at by Elac are made clearer by Monitor Audio; there’s a difference in intensity between White’s finger picking and strumming, aided also by a tauter sense of timing. You feel the vulnerability of his voice with tracks such as You’ve Got Her In Your Pocket. We aren’t quite certain whether we’re highlighting the Bronze 2s’ fortes or the Debut B6s’ imperfections here, but trading White’s acoustic meanderings for Hot Chip’s Made In The Dark, convinces us that the Elac are speakers we can still recommend. They might not be as dynamically versatile as the Bronze 2s, but it’s still an energetic and entertaining performance that shows off the power and punch of that impressive low end. You can certainly feel those pounding kicks in your gut when you dial up the volume. These are well-layered grooves as well, incorporating plenty of conversing rhythms, which Elac organises and outputs with seemingly no trouble at all. The levels of detail are reaffirmed as the Debut B6s highlight the different synthesizer waveforms and juxtapose instruments and vocals well. It isn’t devil-worthy detail, but it isn’t overly analytical either – it’s a cohesive listen that explores these arrangements more than adequately. There’s a definite leap between these and our Award winners in this price bracket, and a handy saving on the latter to boot, but there are plenty of reasons to give these Elacs a home. If you’re planning on spending £300 on some new speakers, it’d be an oversight to not at least try the Debut B6s with your current kit.